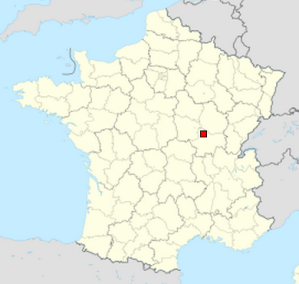 Saint-Lazare Autun Cathedral is located in Autun, Burgundy, France. Building of the church began in 1120 and was completed in 1146. 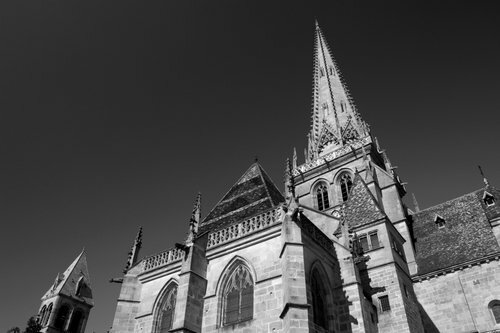 The first cathedral built in the town of Autun was in the 5th century, and it was dedicated to Saint Nazaire, Saint Nazaire Cathedral. Within, it held the relics of Saint Nazaire himself, and in 970 the relics of Lazarus of Aix from Marseille were obtained with a false belief that they were the relics of Lazarus of Bethany, the friend of Jesus. This would later cause an increase in visits by pilgrims and thus it was decided to commence the building of the cathedral in dedication of Saint Lazare. 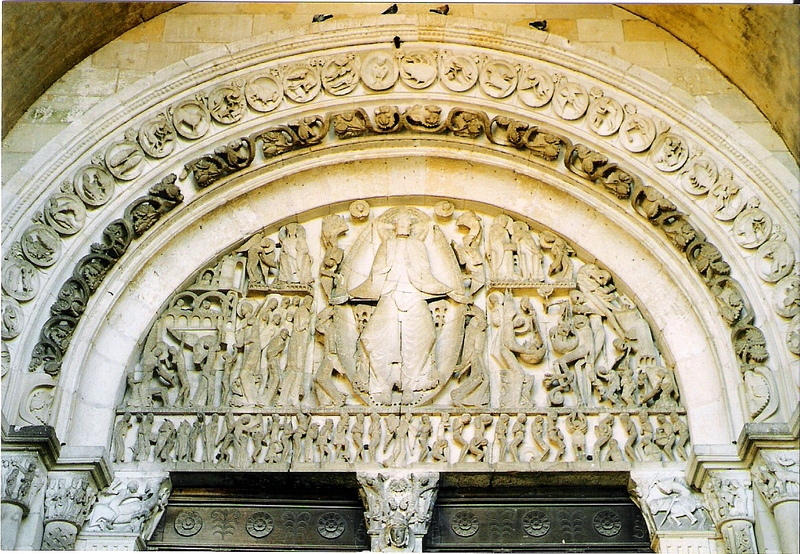 Its depictions of biblical stories and messages through sculpture are unique and display its Romanesque style. 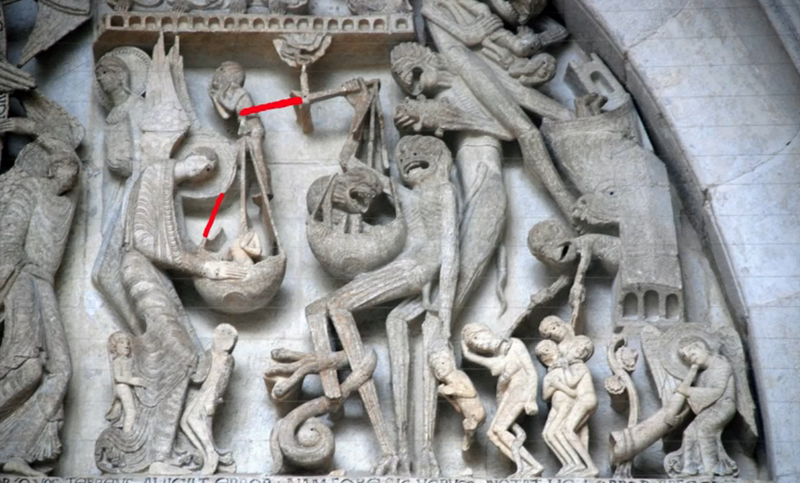 Despite the relics of the mistaken Lazarus, a memorable site in the cathedral is that which is referred to as the eardrum. This relief sculpture completed by Gislebertus depicts an eery image of what the last judgement may look like. The theme of rebirth and life after death is addressed because of the fact that Lazarus experienced death and then resurrection. It was the intention of the sculptor to tell a story and present a message of fear. Images were meant to be read and help communicate with the lay people due to their illiteracy. 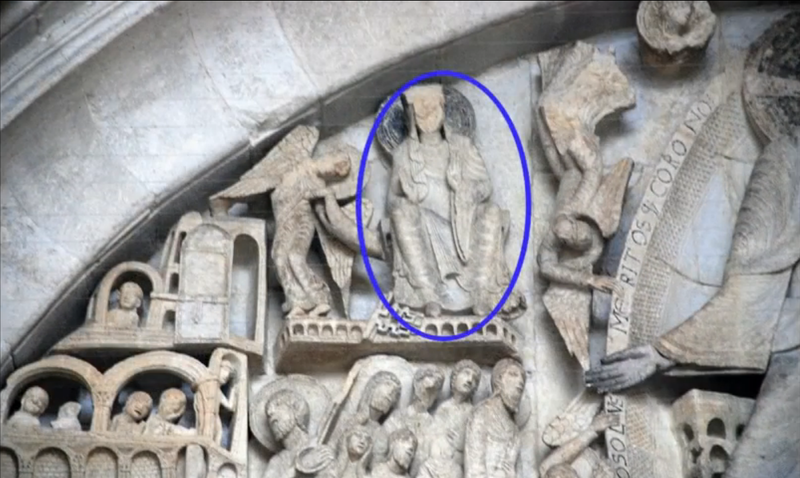 In the middle there is a depiction of Jesus and he is enclosed in a mandola, an almond shape that encloses Jesus as if to create a full body halo. On Christ’s left there are those that are condemned to hell and to his right are the souls on their way to heaven. To Jesus’ right we see that Mary, his mother, is seated next to him. Next to her is an angel sounding a trumpet informing everyone of the time of judgement. Below Mary, angels are shown as they assist the blessed up into the Kingdom of Heaven. Heaven is depicted as an architectural place. Interestingly, souls are depicted as naked bodies. On the opposite side, a more terrifying scene is shown. The angel Michael is depicted weighing souls. While the angel does such task, there are demons weighing down souls on the scale to weigh for their advantage. A terrorizing feeling is displayed with souls being grabbed by hooks. 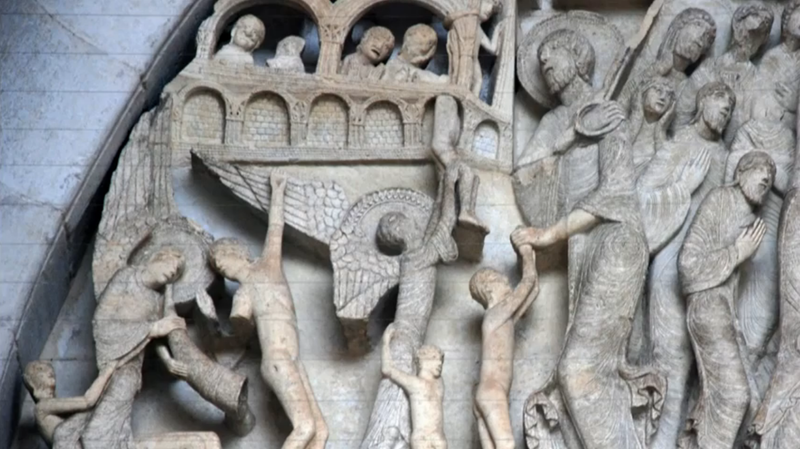 The video below goes into greater detail of the meaning of the Last Judgement relief. As I reflect upon such a raw and illustrative manner of depicting a serious subject as the Last Judgement, I cannot help but to admire the beauty and grander of the physical church. It is inspiring to see how art was used as a way of communication to others. 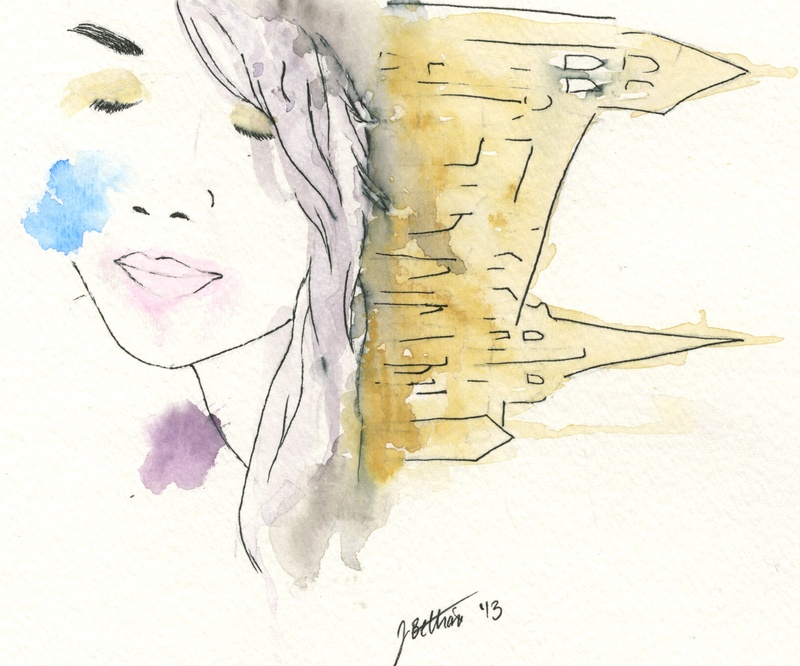 In my small watercolor I wanted to communicate the idea that our bodies are temples and that in the same way that we admire and respect such beautiful architecture, we can see ourselves with such admiration. I wanted to show the portrait and church side by side and almost morphing into one another, and the depict the idea of being one. Before I say anything else, I just have to ask, do you know why the archway is called the “eardrum”? That seems like a really odd thing to call it. 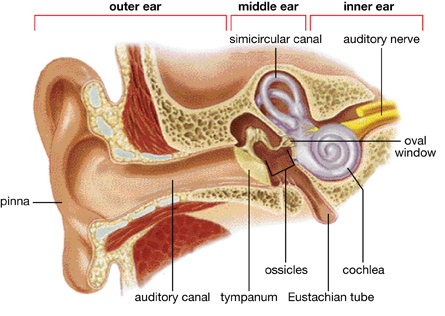 Or are all arches like that called “eardrums” and I just didn’t know it…which is entirely possible. Anyways, I love this piece, as well as the other pieces in the church, like the one that Tim was showing us. However, I can see why this piece is so famous because there is just so much in it. I especially love the detail, such as where they added the demon trying to trick the scale and the souls that are being poked, prodded, and dragged into hell. I also appreciate that you did an original piece, rather than doing a study of something that you saw. Not that there is anything wrong with studies, but the painting you did is a really great concept. Good job. I’m glad you asked about the “eardrum” ekriz! I found that the technical term is tympanum. If you were to Google the word, lots of architecture will pop up. Tympanum is another word for eardrum. (http://resource.rockyview.ab.ca/t4t/bio30/images/m1/b30_m1_037_l.jpg) Interestingly enough, the same term is used to describe a decorative space outside of architecture enclosed by a triangle space. (http://www2.merriam-webster.com/mw/art/tympanum.gif). Not sure exactly how the term came to be applied to the two, but interesting nonetheless! It’s interesting how people can be so easily misinformed – and how misinformation can stick around for so long afterwards. The first example that comes to mind is the fact that Vikings did not have horned helmets. However I can definitely understand where the misconception that the figure is Lazarus comes from, especially after considering the theme of the cathedral’s artwork: rebirth after the last Judgment. And very lovely painting! Is it watercolor? I love the idea of the chapel being a living entity of sorts, depicted through its own artistic imagery. When I visited St. Peter’s Basilica and the Notre Dame, I did feel as if they were alive in a sense. Thanks for the feedback bluebower! Yes, the painting was done with gouache and pen. Janet, I really enjoyed watching the video you posted. While the sheer magnitude is impressive along with all the detail. What I found most amazing was that most of us think of having to go inside the church to enjoy the art, sculptures, and fresco’s. However this is an great example of the artistic details that can be seen with out even setting foot in the church. Yet its sad that a lot of people probably bypass it on their way in and don’t take the time to enjoy it. i absolutely love that you decided to focus a lot on the small details within the sculptures. I think most of the time people are overwhelmed by the grandeur of the architecture of old buildings and often forget to see the small beautiful things. Just by looking at the pictures and video you posted, I feel so small and am in awe of the stone masonry. i think that is one of the reasons why they chose to make churches the way they did- to overwhelm the persons soul. I think that this is sooo sooo different than today and how what we want to feel is close to God. I also find it so interesting that alot of art that is attached or part of the architecture of old cathedrals are frightening and are not “pretty”?